"I am passionate about helping people become confident in managing their financial lives. I love to ask questions, listen intently, and help people get really clear on what they really want from life. When clients know what they want, we choose simple, intentional steps to reach goals and dreams." LPL Financial Advisor Heidi Pederson, JD, CFDA®, CLU® is committed to helping you pursue your financial objectives. As your goals change over time, Heidi will actively monitor your investments and work closely with you to formulate an individualized roadmap to help you invest, diversify your holdings and pursue your plans for the future. 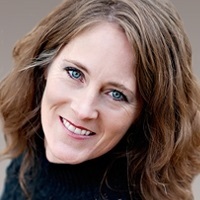 Heidi received a bachelor's degree in political science and religion from St. Olaf College and a juris doctor from William Mitchell College of Law. She has served the financial needs of clients from the Minneapolis/St. Paul region for five years. Heidi is a beekeeper, gardener, yoga practitioner, mother of three children (lots of sports and concert watching! ), and a certified life coach.